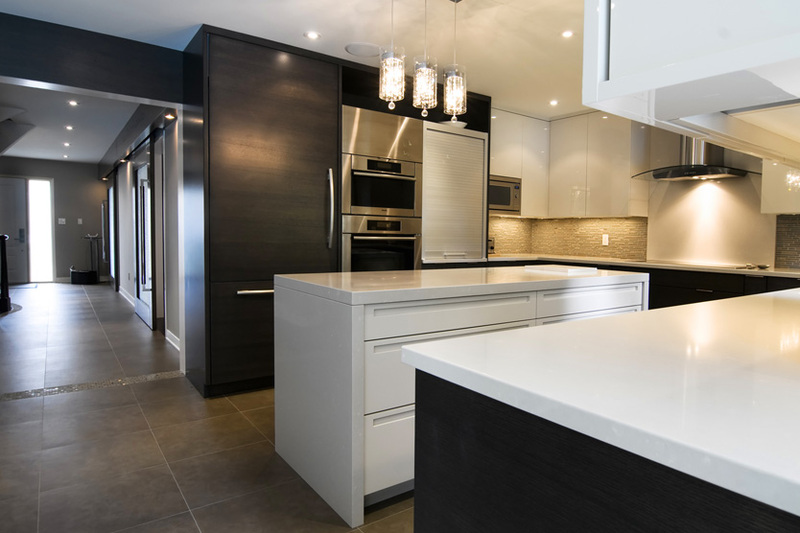 This 25-year-old home in north St. Catharines was renovated from a classic Georgian style to a contemporary layout to suit the vibrant family living within it. 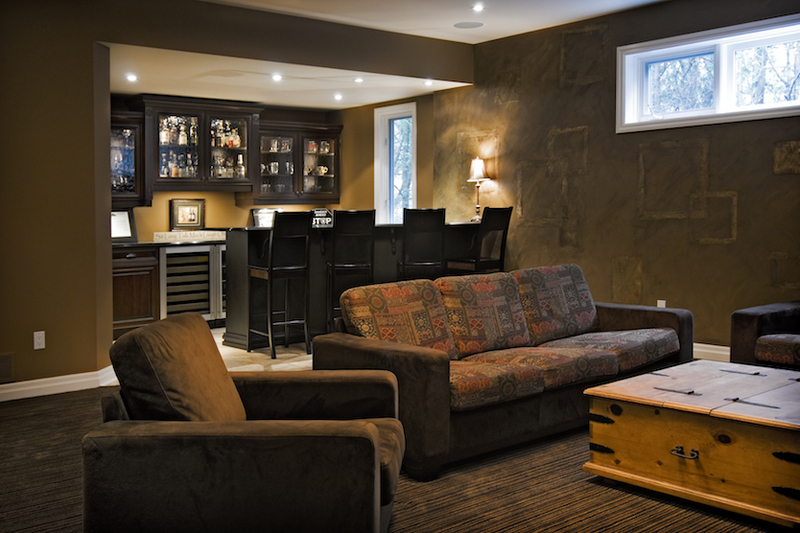 Removal of interior walls allowed the dining area to integrate into the kitchen and family room. 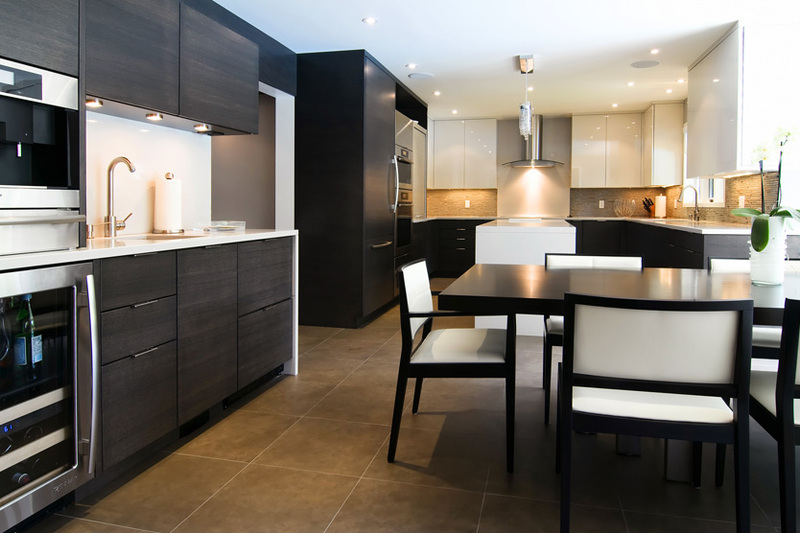 The kitchen features both dark wood and white cabinetry resulting in a clean, contemporary look. 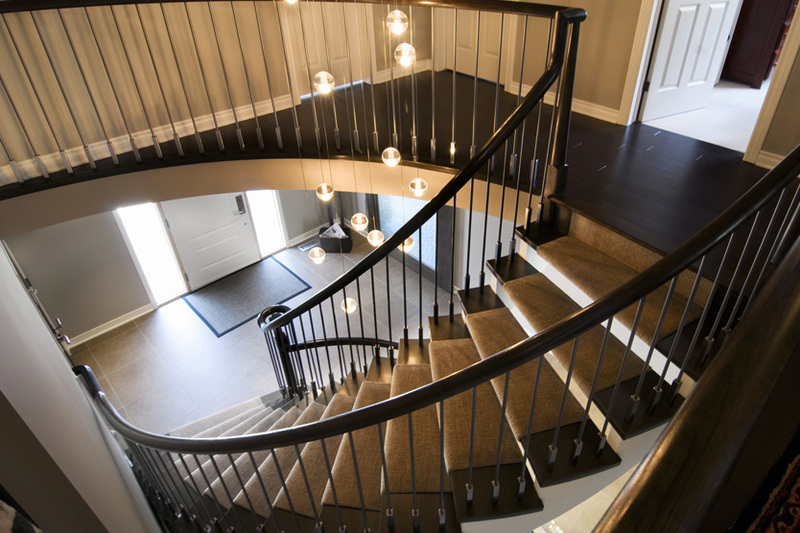 The impressive, but traditional main foyer staircase was refitted with new railings, spindles, and refurbished treads, resulting in significant cost savings over a full staircase replacement. 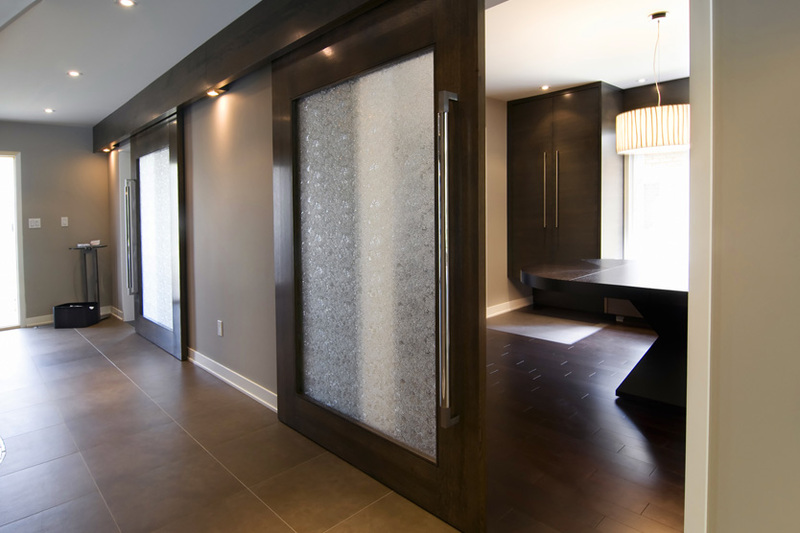 Enlarged doorways and wood-framed sliding glass doors off the main foyer connect adjacent rooms in a contemporary style.